Pierre-Emerick Aubameyang's s insatiable appetite for goals was once again on display on Matchday 13 as a trigger-happy Borussia Dortmund side overran Borussia Mönchengladbach. Aubameyang really should be in your Official Fantasy Bundesliga team by now. Click here to sign him up! 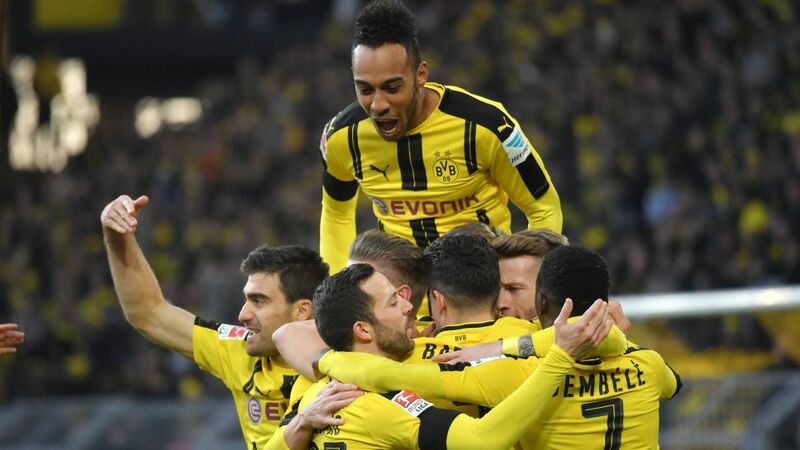 Pierre-Emerick Aubameyang (Borussia Dortmund striker): "It was a really important win and really good to win at home. The whole team did well all week. [Marco Reus] is like my brother. I'm really happy he's back. We keep going and keep fighting for the team and for this [top scorer's] race. I'm a striker and want to win this race." Marco Reus (Borussia Dortmund attacker): "It was a good team performance from about 15-20 minutes onwards. It was important that we controlled the game because BMG are really good. They've got a lot of good players up front with Raffael and Lars Stindl, so it was difficult but I think we had things under control, especially in the second half, and we deserved to win." Thomas Tuchel (Borussia Dortmund coach): "It was a complete performance from us today. We kept our aggression and compactness over the 90 minutes. I think that was the key. Marco Reus' return was fantastic. In my opinion Ousmane Dembele had one of his best match in a BVB shirt today." Oscar Wendt (Borussia Mönchengladbach defender): "I think today we were still in the game when it was 2-1, but when they made it 3-1 it was over. Aside from today, we should have won the last three or four games at home. We had enough chances but just couldn't finish them. What can we do? We can only work hard." Lars Stindl (Borussia Mönchengladbach attacker) ""I'm sorry for our fans, who showed a fantastic reaction after the final whistle today. We can only come out of this by sticking together." Christoph Kramer (Borussia Mönchengladbach midfielder) "You could see today that we can play football and compete. But at the end of the day the result is disappointing." Andre Schubert (Borussia Mönchengladbach coach): "I don't want to downplay anything; obviously we're not happy with where we are in the table or with our points total. But we're still creating very good chances. Sooner or later we'll have a bit of luck again."